River starts First Grade this year. Seriously, this was him just yesterday, wasn't it? But when a boy starts regularly using really big words and wants to be a Cub Scout I guess it's time to start school. And that time has come. Time to teach the boy to really read and to teach him beginning math. 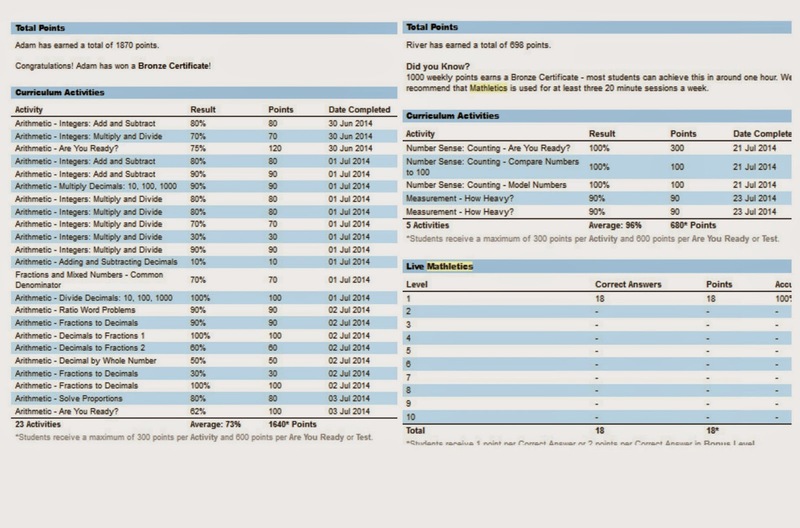 I was recently given the opportunity to review 3P Learning's Mathletics program, an award winning online mathematics program for ages K through 12th grade. I was offered subscriptions for two students. I was a little hesitant to take this on over the summer because of all the "stuff" we've got going on, but I was very excited to have it for the upcoming school year for two reasons: it looked like a fun way to introduce math to River (age 5), and Adam (age 13) needs reinforcement with Algebra because we switched programs midway through the last school year and, through no fault of his own, is now behind. My hesitation was eased quite a bit when I learned that Adam could download the program for his Kindle Fire, which he generally has with him and uses all the time. The boys accounts were set up by 3P Learning, based on their ages/grades. I received their log-in information as well as my teacher/parent log-in information and we got started. I have to say that getting started was confusing. River's material seemed to be over his head and Adam's was way beneath him. I went into their accounts and adjusted their levels a little bit and that helped. Levels can be set to meet state standards or national standards. Once their levels were adjusted and we played around a bit with the program they found their "sweet spots" that were just the right levels for them. I, honestly, still don't understand most of the parent's section or the achievements, even after watching the available videos, and it took a few weeks for me to feel this was a good program for us. I think more time exploring it will be very helpful to me. While I found the parent's section confusing the boys figured out their programs fairly easily. We did go through some trial and error, but once they got going they went full speed ahead. One aspect of the parent's account that I do appreciate is weekly progress reports telling me how much time the boys spent in the program during the week, what they did, and how well they did. Live Mathletics, which allows the kids to compete with other students on their academic level all over the world. They answer a series of questions within a set amount of time and the student with the most correct answers wins. Activities, this seemed to be the section that the boys got the most out of, academically. There are a number of categories to choose from and within each category are a variety of activities, beginning with an "Are You Ready" section that will test whether the student is in the right place and needs easier or harder questions. The student also has the option of choosing easier or harder activities based on their abilities. Additionally, there are wonderful printable workbooks for the student to use to work on specific skills. These are not 1-2 pages each - they are quite extensive. Complementary teacher's manuals are also available to print. River and Adam were each asked to use the program 20 minutes a day 3-5 days a week. The first day River did the Mathletics program he asked me if he had to do it tomorrow. Uh-oh. I asked him why he wanted to know and he responded that he wanted to do it today too, not just tomorrow. Whew! He loves this program. His progress has amazed me over the last few weeks. He's so confident in his addition, subtraction, matching, and pattern making skills. My Mom and I sat at the cottage on vacation watching him and just being in awe of how well he could work the program himself and how much he was grasping. River asks first thing each and every morning to do Mathletics. He is absolutely learning from this program, I've half joked with him that if he keeps doing as well as he is we'll be doing Second Grade math this year instead of First because he's mastering those First Grade skills and the school year hasn't even started. Adam, on the other hand, doesn't LOVE Mathletics. He'll do it and he is learning from it but it's not something he wants to do. Heck, he's 13 and it's school. He'd much rather be in the water or climbing a tree right now. I think once school officially begins and this becomes part of his routine he'll like it much more. I do like Mathletics very much and both boys will continue with the program during school year. I am looking forward to targeting areas that Adam needs help with and using the program to reinforce what he's learning and to help him work through concepts that just aren't clicking for him. After using the program for a month or so the boys still have areas they haven't explored, and I really appreciate that this program is so varied and extensive. I like that there's a focus on really learning those math facts without boring rote memorization. I see Mathletics as an asset for both Adam and River, and am considering purchasing it for Kaden to use as well. The only negative I have is the getting started stuff. I wish we'd all had clearer "getting started" instructions, but I do believe that once Adam and I incorporate this into his curriculum that'll come together. 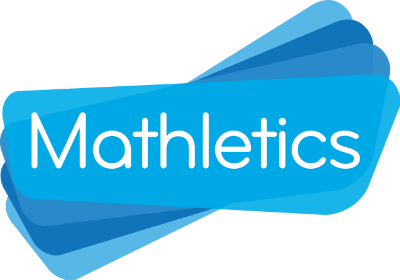 Mathletics is available from 3P Learning for $59 per student per year. Again, the program is geared towards students in grades K-12. If you try Mathletics I'd love to hear what you think of it. hmm... other than the confusion, a good program. nice that your younger one is so into it.